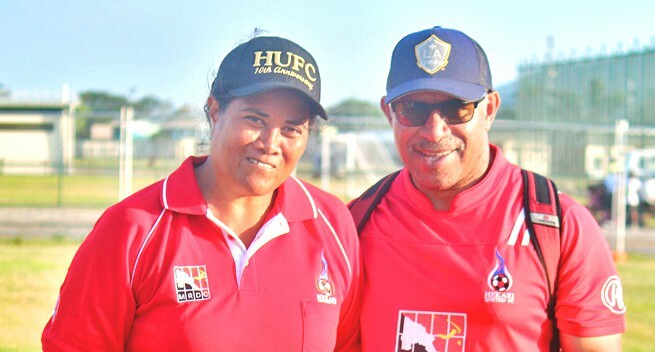 Long time Hekari United Football club Manageress Vonnie Kapi Natto took the opportunity to congratulate PNG Under 20 women’s football team who bravely bowed out in the FIFA Under 20 Women’s World Cup. “I want to take this opportunity to congratulate all the PNG girls who played so bravely in the past few days and closed it off in style with a goal,” says Mrs. Vonnie Natto. Vonnie said to make into the world cup was pretty hard for PNG as it will take time, effort and proper management with strong discipline. “Fortunately for PNG, it was given the privilege to take part in the 2016 FIFA Competition as a host nation to participate and this is a bonus for us and history is in the making,” she said. “There is no female competition in this country unlike the male, there is no player discipline. All the players played their best with the little skills they knew. Until we improve the competitions for all female, our next Fifa World Cup dream may not materialize,” Vonnie said. “Once found out they are banned. So when we get PNG to that stage we should make to one of under 21 or any other World Cup tournament,” Vonnie added.